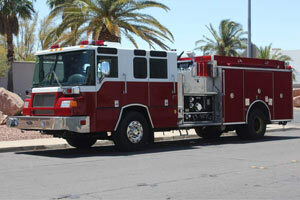 Firetrucks Unlimited offers a variety of high quality used fire trucks for sale. 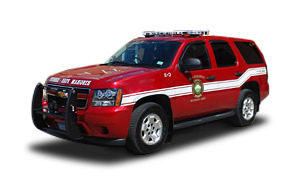 Our inventory includes used fire engines, used aerials, used rescues and ambulances, used tenders, used brush trucks and more! 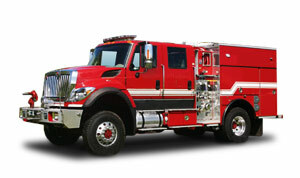 Our sales team will work with you to meet your department’s need for used fire trucks. Call us at (866) 876-0979 or send a message about any truck you are interested and we will answer all of your questions. 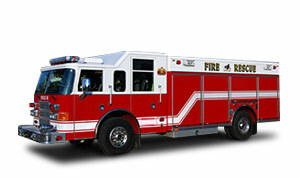 Please use the links below the browse our inventory of used fire trucks. The inventory is always changing so be sure to check our site often, or subscribe to our newsletter to stay up to date! 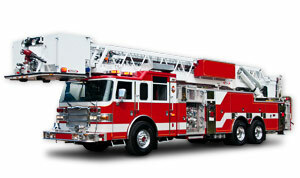 Our used ladder trucks for sale fit into three categories: turntable ladders, tractor drawn aerials and platforms. They are designed to fight fires and extract victims from above when other methods will not be sufficient. Some of our used ladder trucks include a pre piped waterway and monitor to assist in firefighting operations. 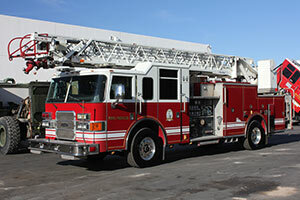 We have aerials for sale from many of the top fire truck manufacturers. If you need assistance finding a used aerial please contact our sales team. At the scene of an incident there is often need for one of our used fire command vehicles for sale. 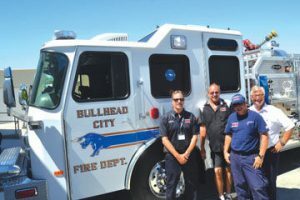 They carry the necessary technology for a fire chief to command personnel at large scale incidents. One of the benefits of a fire command vehicle is access to all types of communications and CCTV systems. They are often used as a meeting place for planning operations to fight fire. Our inventory of ARFF trucks is one of the biggest in the nation. 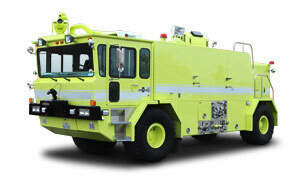 Used ARFF trucks are designed to fight fire on airport runways and surrounding areas. They are equipped with large pumps and monitors and foam and dry chemical systems. 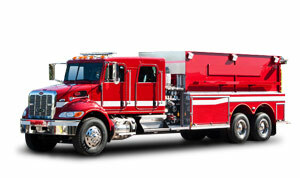 The superior firefighting capabilities of these used crash trucks allow them to fight fire at an accelerated rate. ARFF trucks are an essential safety component for any airport. Some of the used fire trucks in our inventory do not fit into the above categories of used fire apparatus. 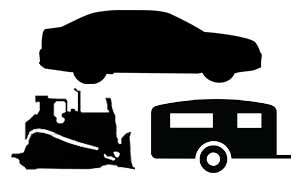 These vehicles can include anything from smaller vehicles, to fire dozers, to trailers. If the vehicle you need is not listed in the other categories but is used for emergency services, you may find it in this section. Specs: 750 Gallon Poly Tank, Waterous CS 1,250 GPM Pump, Cummins ISL400, Good Condition! 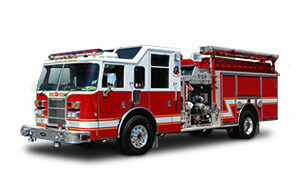 It is our mission to provide affordable used fire apparatus to fire departments with limited budgets. Please call our sales team at (866) 876-0979 and we will be happy to work with you to find the exact used fire trucks for sale you need. 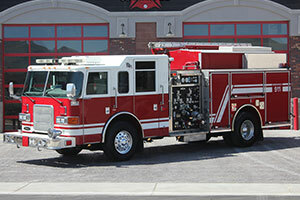 Our experience with the sale and refurbishment of fire trucks allows us to quickly determine which trucks will provide the most value to your department. If you have any questions, please do not hesitate to call, we are here to serve you!